The cross is symbolic of the Christian faiths. The cross is made of flowers designed to look like a cross. These displays can be very elaborate depending on the choice of flowers used. 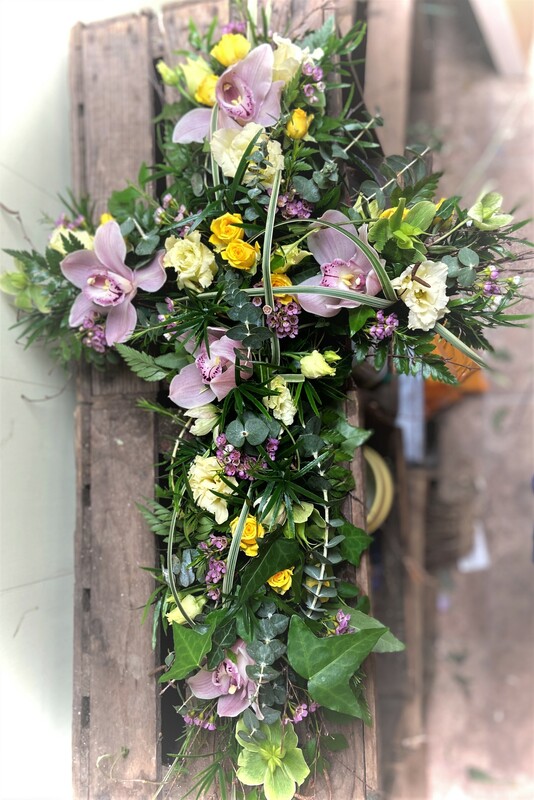 Created using a mix of flowers, foliage's, birch twigs and grasses. 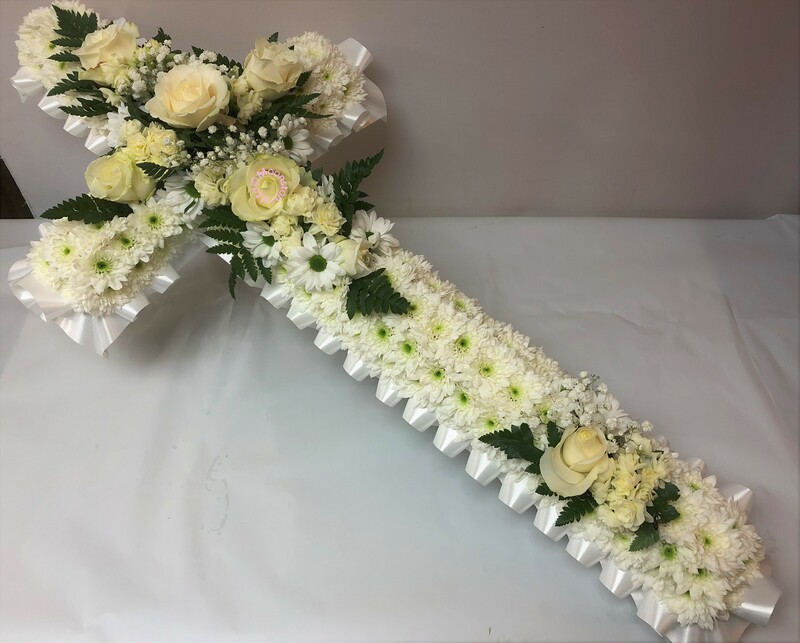 A simple understated based cross with a white ribbon edge, base and spray. 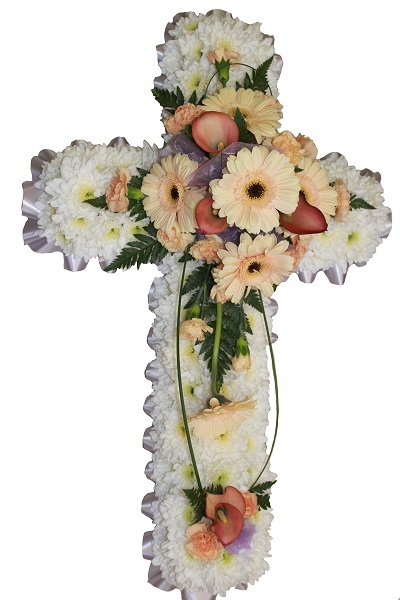 White based cross with a cream ribbon edge, and peach shaded spray. 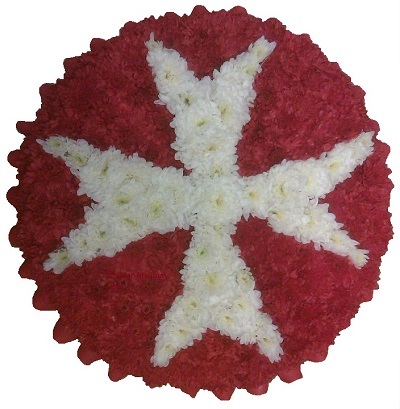 A loose flowered cross with a foliage edge, red roses, carnations and foliage to tone. White ribbon edged with a white base and red rose spray. Moonstones Ltd. Registered in England 5580124. ©Moonstones Ltd. Designed by Config Computer Services Ltd.